Who are you kidding, its what you’re here for… Have a look below at some of the beers we’ve made so far this year! Drawing inspiration from the medley of organic compounds from which life is thought to have originated, Primordial soup represents the foundation upon which consecutive recipes will be built upon. 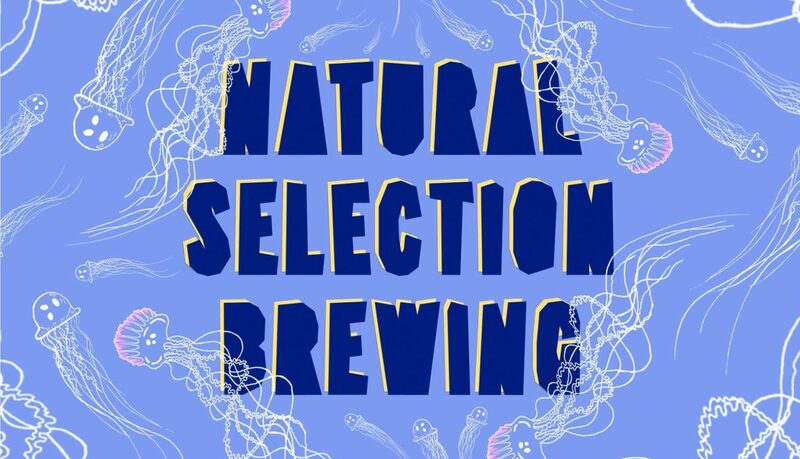 Like the evolution of the earliest jellyfishes and polyps, our second beer is a humble yet profound step in terms of development and complexity. Man O’ War is the combined effort of NSB and our good friends Tom and Antoine from Great Grog Bottle Shop. After much consultation and deliberation on fruit additions we joined forces to create a blackcurrant Berliner-weisse. The beer pours a delightful purple hue and its subtle blackcurrant addition gives balance to a slightly sourer profile than that of primordial soup. Get down there while stocks last!